UPDATE June 16, 2013 -Santa Rosa sheriff’s deputies found Brianna Anderson, 15, early Tuesday morning at the home of a friend, according to the Sheriff’s Office. 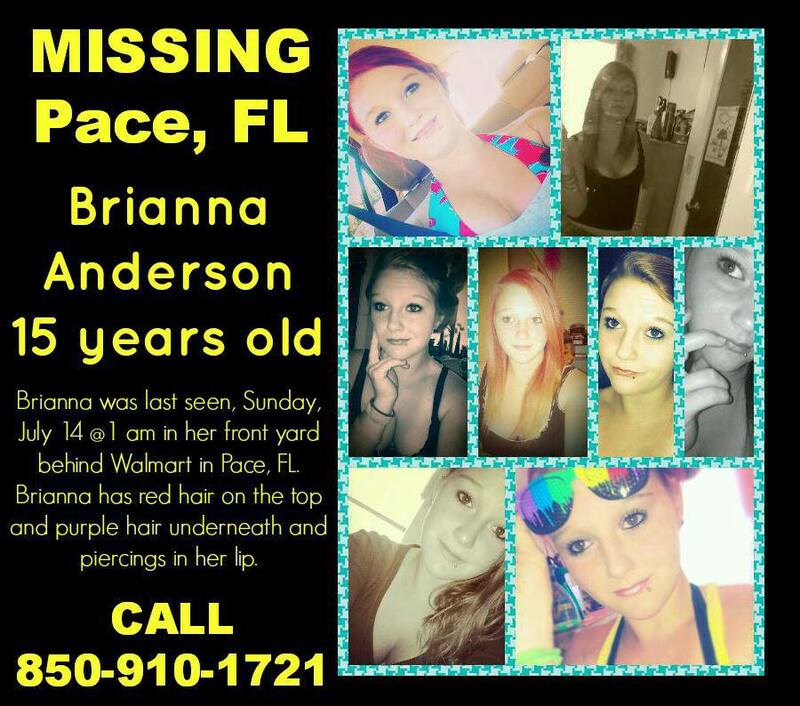 Brianna Anderson missing from Pace, Florida. She was last seen July 15 behind Walmart.